Be the first to hear about their new releases and deals. 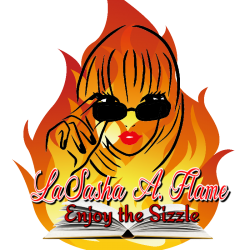 Download the Booksprout app and search for LaSasha Flame today! Let me introduce myself: I’m a young author from Chicago, I’m hoping to bring some new heat and sizzle to the romance genre. My favourite genres are paranormal and dark romance. I love reading a good book but I’m so busy in life that I only get to enjoy audio books. Its the only way I can get lost in a good book nowadays. And you know what? I half prefer an audio book over print any day! I have a long standing membership at Audible and I plan to publish audio books for busy bookworms like myself! Yay! My love of writing started when a friend of mine encouraged me to write a short story and just see what happens. Turns out I had a knack for writing because everyone loved my short stories. From then on I have worked on improving my craft. Growing from flash fictions to novels. I am really looking forward to sharing all the twisty goodness I have planned!